Emeritus Professor of Cultural History at the University of Cumbria. I am a Fellow of the Royal Historical Society, a Fellow and President of the European Committee for Sports History, and on the editorial consultancy boards of five peer-reviewed academic leisure and sports history journals in Britain, France, the USA and South America. I’m a former Senior Review Editor of the International Journal of the History of Sport and a former Chair of the North American Society for Sport History Book Award Committee. I’ve given invited addresses and keynote speeches at many universities across Europe, Britain, the Far East and North America. I was proud to win the prestigious NASSH book award in 2000 for the best book on sport history published that year. I was given the International Society for Sport History and Physical Education Award in 2009 for my ‘outstanding scientific contribution to the history of sport’. I was elected a Fellow of the British Society for Sports History in 2017 for my ‘outstanding contributions to the history of sport’. I also had the honour of delivering the Sir Derek Birley Memorial Lecture at the British Society for Sports History Conference at Swansea University in 2015. I am a long-standing member of the CESH Scientific Committees which oversees their annual congresses. two book-length general histories of Victorian and inter-war British sport. general books on Victorian leisure. My well-received book The Victorians and Vice (Bloomsbury Press) was published in December 2015. 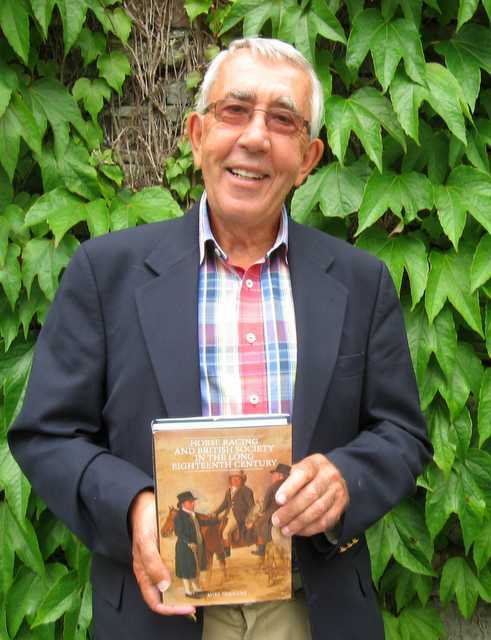 Three specialist books and many articles on the history of British and American horse racing. My book Flat Racing and British Society 1790-1914 (Frank Cass, 2000) was well received as was Horseracing and the British (Manchester University Press, 2004). The third in the trilogy, Horse Racing and British Society in the Long Eighteenth Century (Boydell 2018) I finished recently. edited collections relating to less respectable middle-class Victorian leisure patterns; the upper classes and sport; the complex inter-relationships between sport and visual sources. I recently edited a collection on the history of sport tourism. I have written many chapters and peer-reviewed articles dealing with twentieth and nineteenth century leisure topics such as British football; tourism and seaside holidays; sports gambling and bookmakers; the music hall; and the impact on sport and leisure of radio, newsreels, television, the press, the census and the railways. One of my essays, on British newsreels, soccer and popular culture, was viewed as the joint best article of 2007 in the International Journal of the History of Sport. I’ve deliberately set out to exploit many previously under-explored sources, including newsreels, comics and cartoons, dialect poetry, music hall song and even sporting gravestones, to find new angles on standard narratives, present material in new ways, or give voice to neglected groups and individuals. Beyond my national and international work, I’ve produced regional and local studies of sport, leisure and tourism in the north-east and north-west of England. I’ve talked about my enthusiasms on radio and TV, as well as done many conference presentations across the world. I’ve also got qualifications, experience and expertise in primary education and as an educational researcher and I’ve published in educational and curriculum studies journals and collections. In the 1980s and 1990s I was a Principal Lecturer at Charlotte Mason College, Ambleside and and Head of Post-graduate Teacher Education at Lancaster University. For some years I was Inspector of Schools for the English Office for Standards in Education, before joining the University of Cumbria in 2001. I enjoy music and after work was over I spent many evenings when I was younger playing in rock, folk and ceilidh bands on guitar, mandolin and bass guitar. Nowadays I play less, though I still occasionally perform with my Sunderland researcher-colleague and singer-songwriter Keith Gregson.